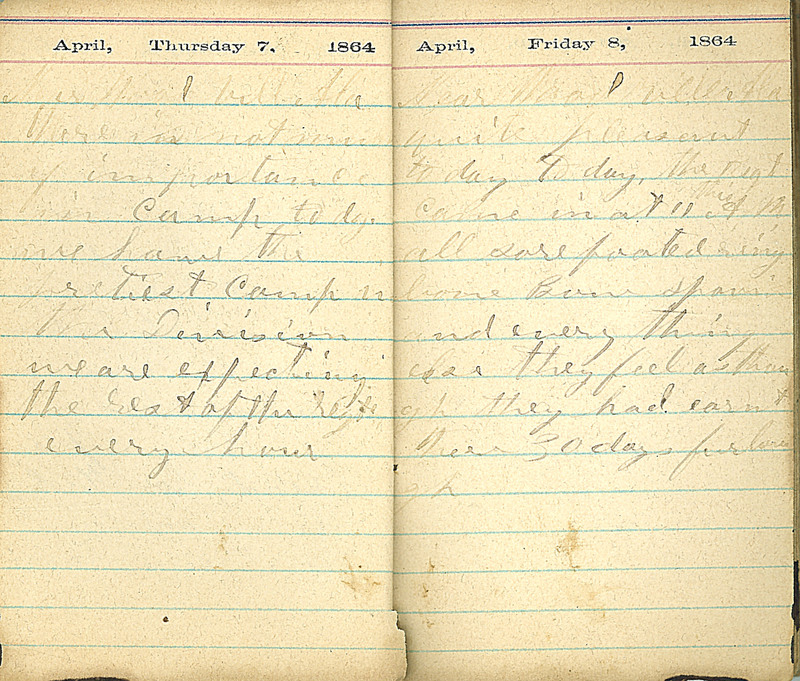 April, Thursday 7, 1864 Near Wood Ville Ala. there is not much of importance in Camp today. we have the pretiest camp in the Division we are expecting the rest of the Regt. every hour April, Friday 8, 1864 Near Wood ville, Ala quite pleasant to day to day, the Regt. came in at 11 this A.M. all sore footed [?] bone [?